I know…I’m a day early with our Cottage Musings for September but I couldn’t wait to share some exciting news that’s happening right here next week. Before I get to that though, let’s take a look at our happenings around the cottage for September. As usual, it’s been a busy month at the cottage. Besides the work on the powder room and guest bedroom closet, I’ve been busy putting the finishing touches on my fall decor. This year I went all out and even fall-ified our master bedroom with cozy sheets, duvet and pillows. 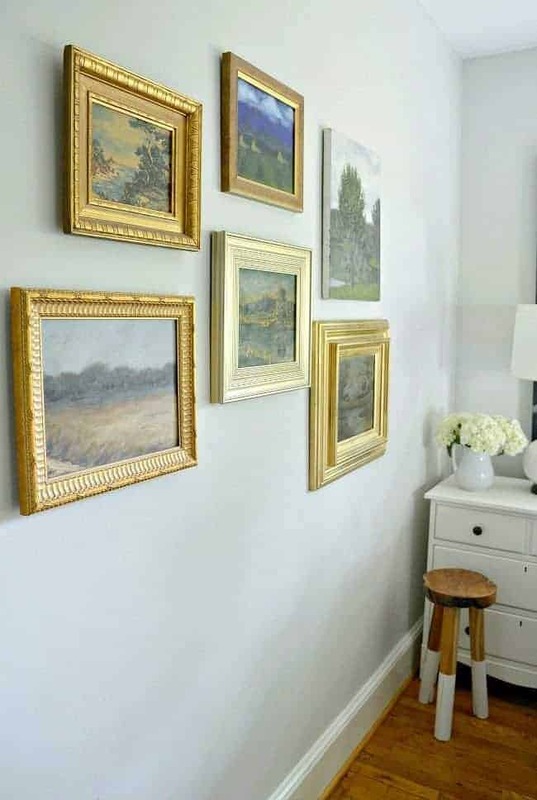 It’s not fall-related, but I also shared a gallery wall that I created in the master bedroom with my secret obsession…thrift store art. October seems to be just as busy with projects and I’ll be sharing the front porch decorated for fall and, of course, our fall house. I’m not a big crafter but I do like to whip up a little something for the front door every season. 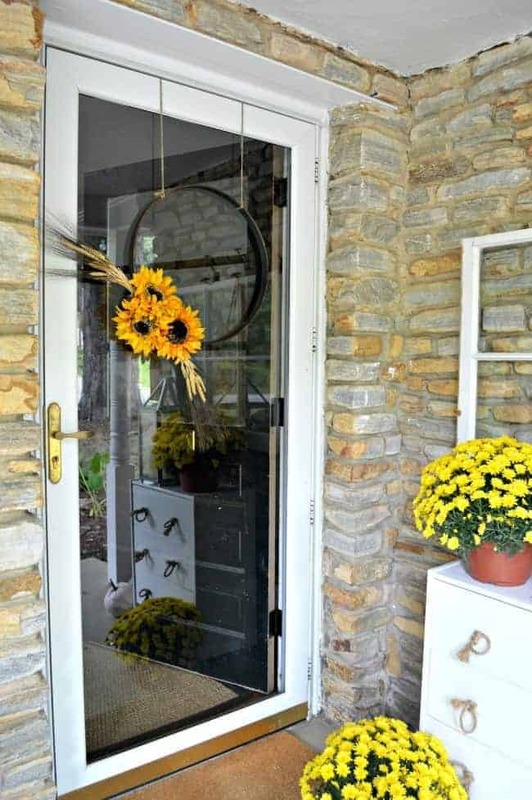 I decided to go really simple for fall this year and created an easy hoop wreath. There’s even a video to show you how easy it is to do. I have a trio of velvet pumpkins that is my favorite thing to pull out every fall. I’ve been wanting to share the love with all of you and was finally able to offer an awesome giveaway for a brand new trio. There was such a great response so I hope to offer another giveaway the same time next year. BTW, a big congrats to our lucky winner, Stephanie! Two weeks ago we left for our annual September getaway. This year it was a cruise in the Caribbean, right after Hurricane Irma hit Florida with Hurricane Maria on the horizon. Not the best timing and it didn’t work out the way we had planned, but it turned into a great vacation. 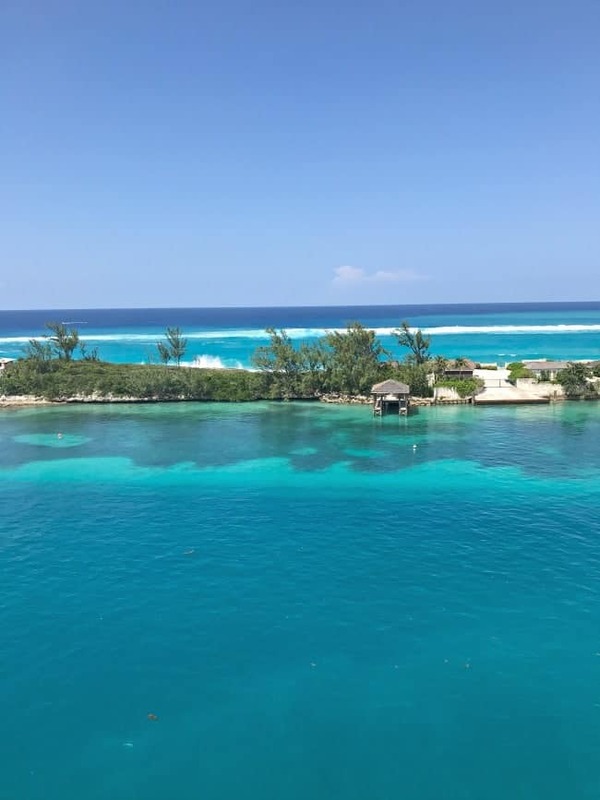 I mean…can you ever really have a bad vacation? Now I’m ready to get back to work and tackle the busy holidays. 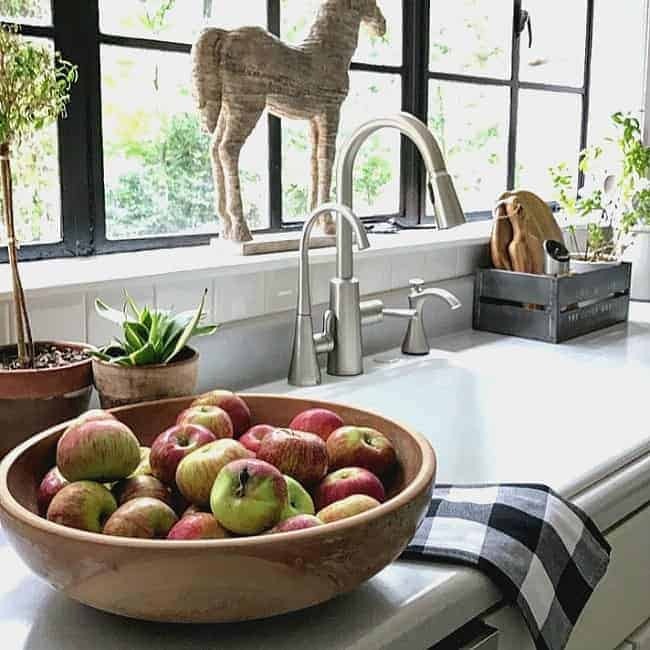 I have been watching Kim’s bathroom reno for the past few months and she recently shared the gorgeous reveal. You really need to check this one out! And now for my big news! If you’ve been following us for a while then you know that we usually share a fall home tour. 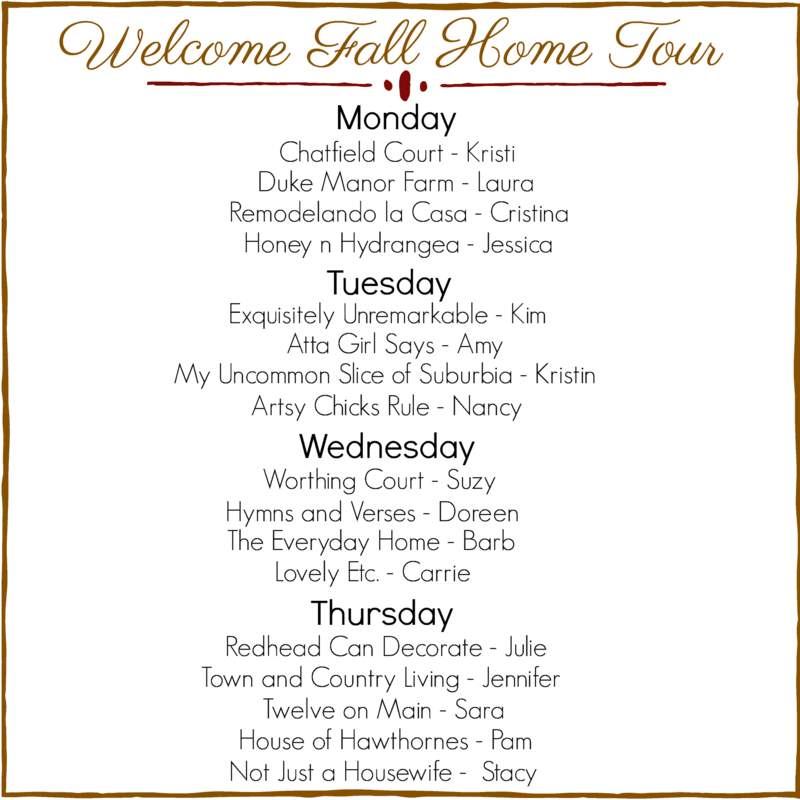 This year however, I decided to host my very own, the Welcome Fall Home Tour. I’ve gathered together 16 of my favorite bloggers and asked them to share a peak into their fall homes. We’ll begin the tour on Monday, October 2, and it will run all week long. You don’t want to miss out so make sure you come back here each day to see who is sharing their home! They’ll be tons of fall inspiration and ideas for you to enjoy. Thanks so much for stopping by! I hope you have a great weekend!!! You are a very busy person, am excited to see your beautiful home all Fallified. It has been a busy few months, Marlene. Thanks so much for stopping in and I hope you enjoy the fall home tour. 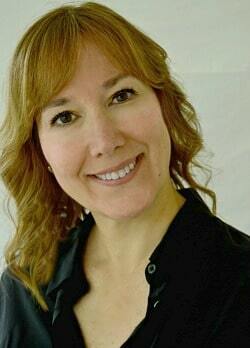 Enjoyed your musings today and can’t wait to see those fall tours. I just can’t get enough! 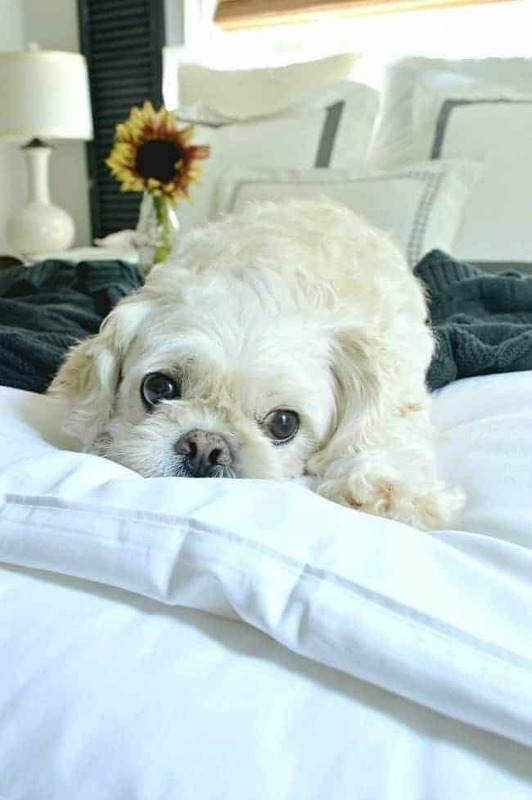 Cute cute doggie,,,makes every season perfect 😉 so…I know you are so busy, but was thinking to send you a few photos of our fall decor. If so, where to send…and fine if not, because if we all sent you photos you would never be done! Nice thrift store paintings. That’s an interest of mine, too. They look classy.